Submitted 1 year 1 month ago by Boris Voronin. Dear colleagues, as you may know, February 2-3 the General Assembly of the MСAA was held in Leuven, Belgium. A new council MCAA was elected. Several meetings with representatives of our Russian-speaking chapter took place. 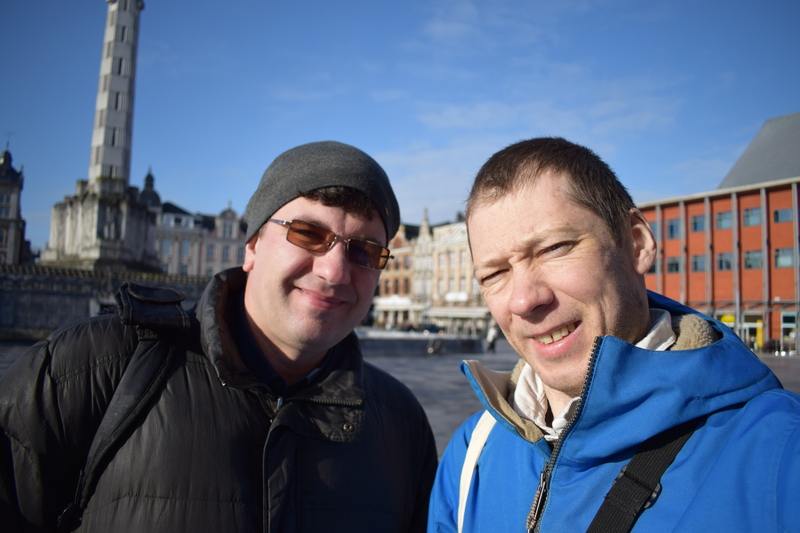 Here in the picture Boris Voronin and Nikolai Bobylev during the MCAA event in Leuven. As far as I understand, 2 of our Chapter members had specific questions on their projects and I hope they were able to resolve them through consultations. According to an e-mail survey on the next meeting place for Russian Chapter in 2018 St. Petersburg emerged as leader of your preferences again. Nikolai Bobylev and myself will prepare a draft outline for this event. In accordance with MCAA budgeting requirement our meeting should take place before September 20. As soon as the timing is finalised we will inform all of you.